There is nothing quite like the strength and durability of brick or block work construction. 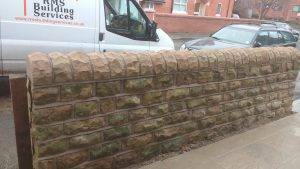 Whether it’s a new brick wall, repointing in a classic style or internal block work, RMS Builders of Nottingham does it all. Over the years we have developed a complete range of skills, which we utilize to provide a perfect result on each and every job, both domestic and industrial. Taking the greatest of care on jobs of all sizes, RMS Building Services can handle any aspect of masonry. 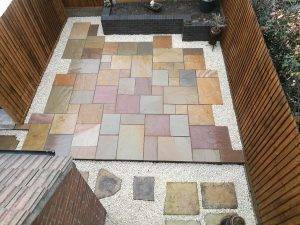 We offer a wide range of landscaping services, including the installation of paths, patios, driveways, decking, fencing and water features. We take special pride in the fact that our gardening services are highly personalised, with all work undertaken from design to completion. 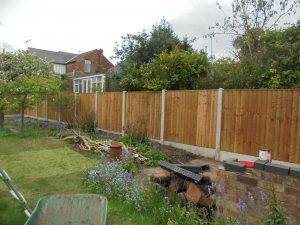 From the simplest garden fencing work to the creation of wild life ponds suitable for your local environment, we can take on the job. 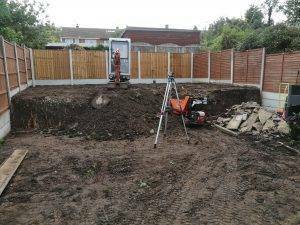 General groundworks ranging from new build footings to small extension footings. Ground grading a full site to levelling out to prepare for a driveway. 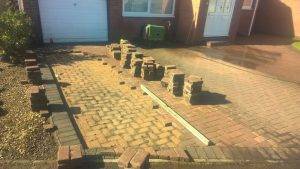 All drainage works are carried out by RMS Builders. This could involve full drainage installations to new properties or extensions to existing properties. We can repair broken or collapsed drains within gardens, which can be located using our specialised drainage camera. Traditional looking but still strong and long lasting, RMS Building Services has a range of smart fencing. All our timber is tanalised and concrete to give added life and protection to the fences. We can quote you on the best product for your requirements. 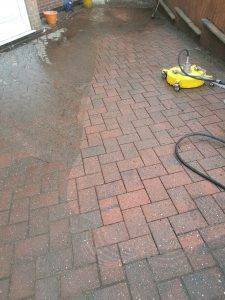 Let us take care of cleaning your Patio, decking or driveway. 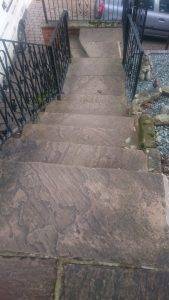 Specialising in the driveways, patios, steps, basements, paths, car parks and forecourts for residential and commercial customers and a regular maintenance schedule can be arranged. RMS Building Services provide the highest quality service and the best results possible. 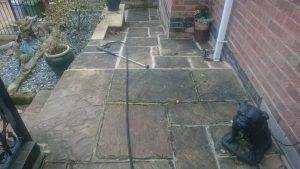 To clean your Patio, decking or outside areas we use high quality, industrial standard equipment to thoroughly clean your exterior surface. The cost of a new drive way can be very expensive. Cleaning your driveway may be the solution for you. Looking forward to the sunshine sitting out on your decking…. let us give it the clean it deserves. Grime and algae and can all benefit from a good, deep clean. Gutter and Facia Cleaning. All types of gutting and facia cleaned at all height levels. 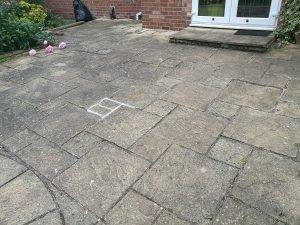 Our driveway, patio and Brickwork restoration service can eliminate weeds, moss and stains and restore your paving to its former glory. Once we have transformed your Paving, Lawns, Driveways you will want to keep it looking at its best all year round. 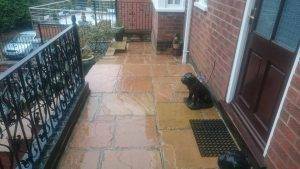 There are a wide range of things that will affect the appearance of your beautiful paving. 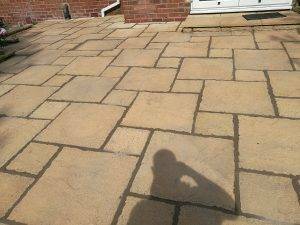 Atmospheric pollution, algal spores, seeds, bird droppings and various other wind borne pollutants will inevitably fall on your paving and driveways and spoil its appearance. We offer an annual maintenance program which ensures your paving, lawns, driveways look in beautiful condition all year round. Busy lives and work schedules sometimes can prevent you from carrying out essential home maintenance tasks, so let us do it for you! We possess years of experience and know how. We are comfortable with pointing both modern and traditional buildings made from brick or stone. We’ll take every care to match existing brickwork as well as we possibly can. 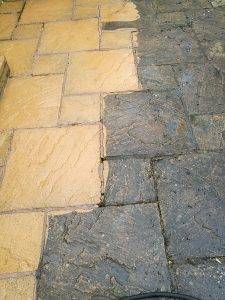 Our Pointing services can be used with our high pressure patio, stonework or brickwork cleaning services, Making the whole job look brand new. Give us a call on 0115 779 7060 or email us below so we can come and give you a no obligation quote. 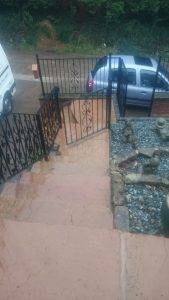 Address: 70 Park Hill, Awsworth, Nottingham, NG16 2RB.